In its Weekly Report On Israeli Human Rights Violations in the Occupied Palestinian Territories for the week of 22 – 28 December 2016, the Palestinian Center for Human Rights (PCHR) found that Israeli forces continued systematic crimes in the occupied Palestinian territories. A Palestinian civilian was killed and child succumbed to his wounds in the West Bank. 14 Palestinian civilians, including 3 children and a journalist, were wounded in the West Bank and Gaza Strip. Israeli forces continued to target the Gaza Strip border areas, but no casualties were reported. Israeli forces continued collective punishment measures against the Palestinian civilians. In the West Bank, on Thursday, 22 December 2016, Israeli forces killed a Palestinian civilian and wounded 3 others when the soldiers used force to disperse dozens of youngsters gathering around Qalandia refugee camp and Kufor Aqeb village, north of occupied Jerusalem, and attempting to prevent the demolition of Abu Sbaih house in the said village. According to investigations conducted by PCHR’s fieldworker, at approximately 18:00 on Thursday, 15 October 2016, a number of young men protested at the entrance to al-Jalazoun refugee camp to commemorate the anniversary of the death of Ahmed Sharakah, who was killed on 11 October 2016 by the Israeli forces. When the young men arrived at the abovementioned entrance, about 10 soldiers directly opened fire at them. One of the Israeli soldiers directly opened fire at al-Bayed from a distance of 15 meters. As a result, he was wounded with a metal bullet to the head. He was then transferred by an ambulance to the Palestine Medical Complex in Ramallah to receive medical treatment. His wounds were classified as serious due to brain laceration and severe bleeding. He underwent a surgery and then went into coma until his death was announced. Israeli troops demolished the walls of a house belonging to Abu Sbaih family in Kufor Aqeb village, north of occupied Jerusalem, and closing it. Israeli forces conducted 60 incursions into Palestinian communities in the West Bank. 52 civilians, including 16 children and a woman, were abducted. 16 of them, including 10 children and a woman, were abducted in occupied Jerusalem. Israeli forces continued their efforts to create Jewish majority in occupied East Jerusalem. 5 agricultural and commercial facilities in Silwan village were demolished. A new tunnel was opened in Silwan village. The tunnel resulted in cracks in dozens of houses. During the reporting period, Israeli forces killed a Palestinian civilian while a child succumbed to his wounds in the West Bank. Moreover, they wounded 14 civilians, including 3 children and a journalist. During the reporting period, Israeli forces conducted at least 60 military incursions into Palestinian communities in the West Bank and 6 others in occupied Jerusalem and its suburbs. During these incursions, Israeli forces abducted at least 52 Palestinian civilians, including 16 children and a woman. Sixteen of them, including 10 children and the woman, were abducted in occupied Jerusalem. On 28 December 2016, the Israeli municipality demolished 5 agricultural and commercial facilities in Ein al-Louza neighbourhood in Silwan village, south of East Jerusalem’s Old City, under the pretext of non-licensing. 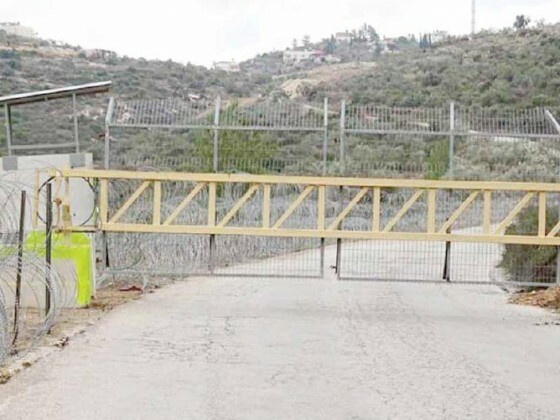 Jamal Siyam said that Israeli forces demolished 3 agricultural containers and a barrack he owns, in addition to parts of a commercial store belonging to Abu Hawdan family. Israeli Settlement activities continued in the West Bank this week. A well and an agricultural room were demolished. In addition, new demolition notices in Hebron were issued. Following the Friday prayer on Friday, 23 December 2016, dozens of Palestinian civilians and Israeli and international human rights defenders organized demonstration from Kafer Qadoum village, northeast of Qalqiliyah, towards the eastern entrance to the village protesting against closing it with an iron gate since the beginning of al-Aqsa Intifada. As soon as they arrived at the abovementioned entrance, Israeli forces fired live bullets and sound bombs at the protesters. As a result, two civilians, including a child, were injured. A 45-year-old civilian sustained 2 live bullet wounds to the left foot and chest while a 15-year-old child sustained a live bullet wound to the right hand. The Israeli forces then detained Momen Murad Eshtiwi (7) on the spot for half an hour due to which he panicked. They also attacked Abdul Rahman Mousa Abdul Latif ‘Ali (40) with a stone to the head and then abducted him. In addition, PCHR calls upon the Parties to international human rights instruments, especially the Covenant on Civil and Political Rights and the Covenant on Economic, Social and Cultural Rights, to pressure Israel to comply with their provisions in the Occupied Palestinian Territories, and to compel it to incorporate the human rights situation in the Occupied Palestinian Territories in its reports submitted to the concerned committees.